Ever so slowly we are bringing things into this house and finding a place for them. It’s a bit of a challenge and much less forgiving than our last home. By this I mean the house is a lot smaller. As I unpack, I’m once again sorting through and discarding items that have no place in this home. Either by sheer size limitations or simply the fact I no longer have a use for them, the “things” need to be cleared out. It’s amazing what small space (camper) living does to a person. Once you learn to live with less clutter and only with the bare necessities you find less is more! Off to the donation box it goes! Much like our household, the coop also is feeling a little smaller these days. I acquired 2 more hens this week and I finally feel comfortable with my drake to hen ratio, 4:4. Ethyl (yes with a Y) and Lucy will round out my little group nicely unless the boys still remain overly frisky. 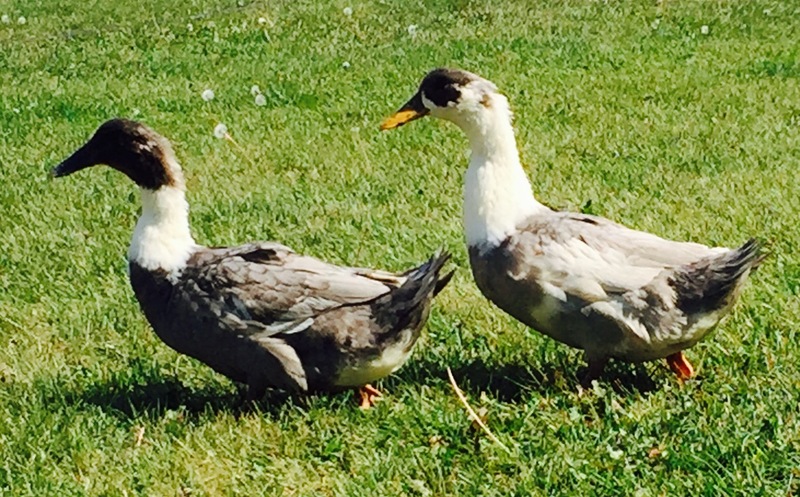 In fact, I told my husband we could still dispatch two of the drakes for the freezer but I’m not sure either of us is dying to do the butchering (pardon the pun). Much of the work around here is down to a trickle as we wait for the kitchen countertops. We clean areas of accumulated construction dust or tools and make them liveable until we are able to finish room A to move on to area B, etc.. One of those small projects was the pantry area. It’s a far cry from the beautiful pantry space we had in our previous home but it will be one of our winter projects. 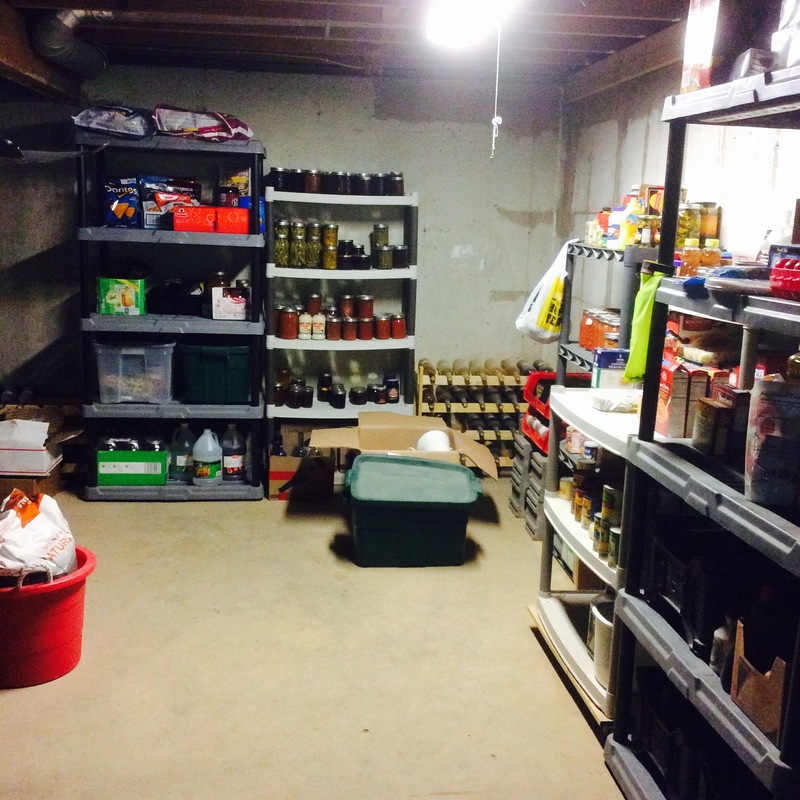 For now, food stuffs have been unboxed, cleaned of dust and placed safely on plastic shelving. This year’s canning is tucked away nicely…okra pickles, sweet relish and chunky pasta sauce shine brightly in the photo below. I preserved a lot considering our camper kitchen limitations. I struggled with the space but quickly realized it was only an excuse. 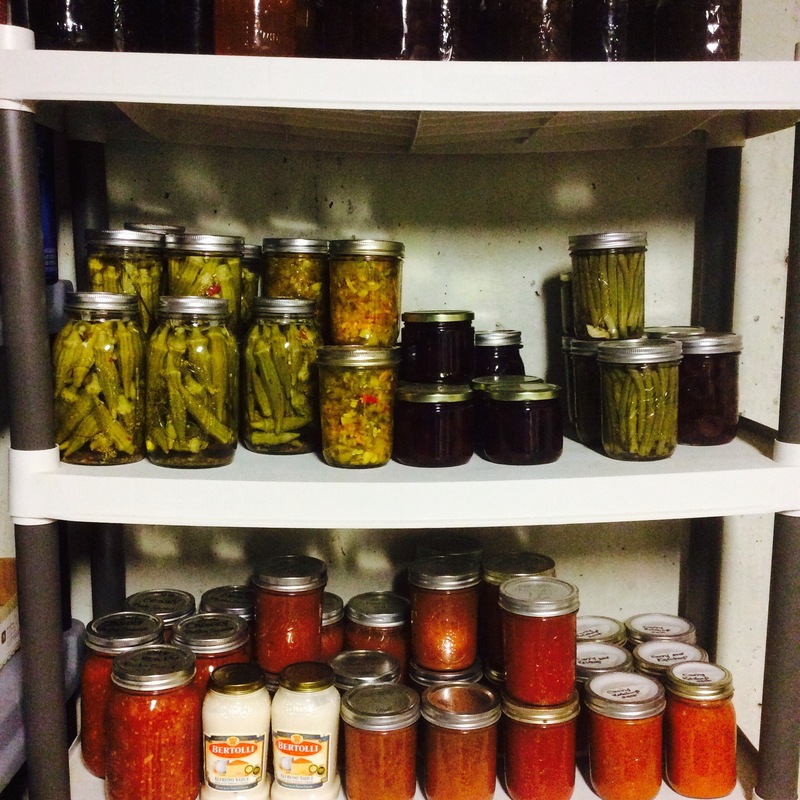 Earlier in the week I dedicated a little blog on the 5 rules I followed to make canning work while canning in a small space. Next year will be even more productive as our kitchen will be in place for the canning season! While we wait for countertops to be manufactured we continued forward with area preparation. 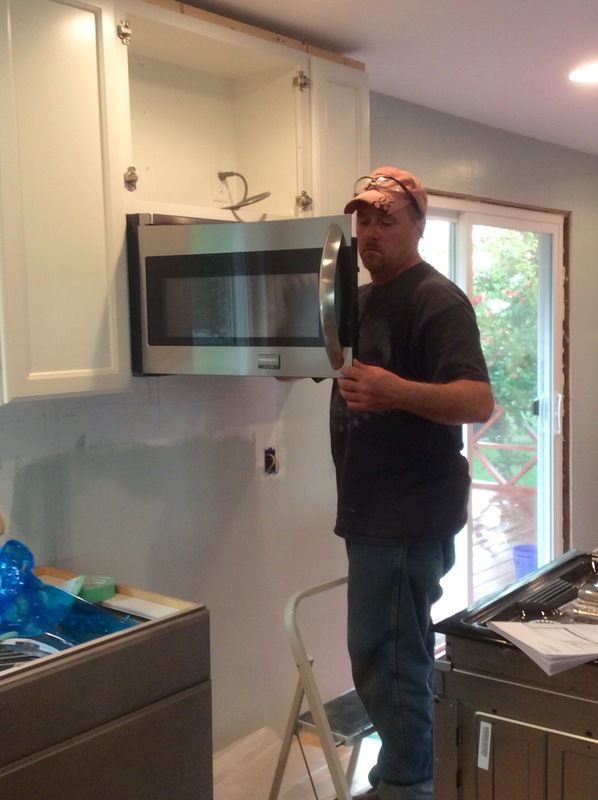 The microwave was installed and the venting to be completed over this next week. Conversion of the gas stove/oven over to LP has been partially completed; parts swapped out. Further adjustments will have to be made once propane is hooked up which leads us to next week’s project – plumbing. 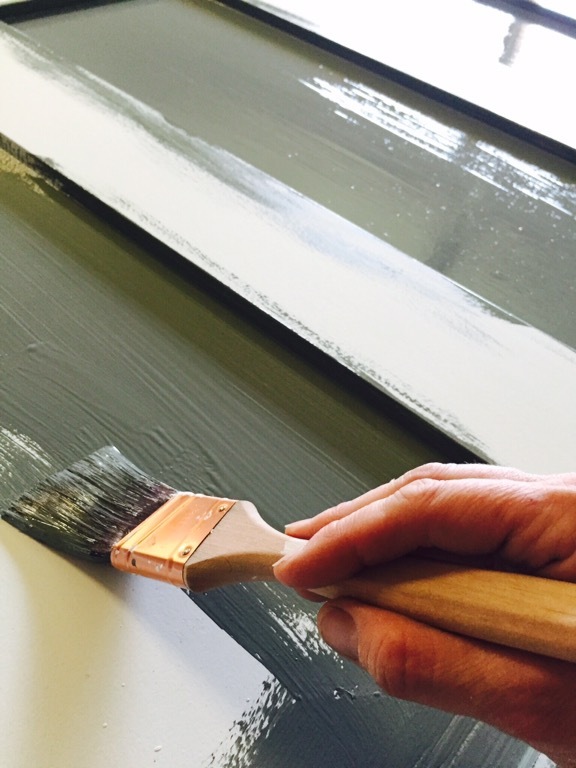 As with any remodel, things take time….lots and lots of time. Little things must be worked on along the way to make rooms come together cohesively. Right now, I have lot’s of spoons in the pot, irons in the fire…dirt on my plate. 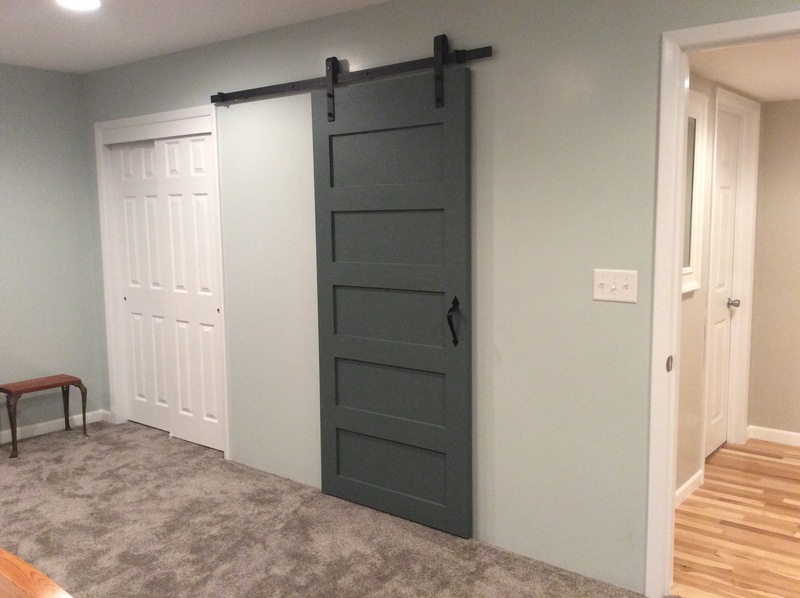 One project in particular is really exciting because I’ve wanted a sliding style door with barn door hardware for so long! There was never a place in our old home to do this and only one place in our new home to make it happen. I did blog about color choices on this particular project and many of you chose blue. I decided to go with my gut on this one and went with a nice deep color called Zinc. It wouldn’t have been my first choice initially but sometimes those are ultimately the colors you end up adoring. So, I went with it. I shamefully threw out a teaser on Facebook and now the time to share the final details is here! Behold! My barn door style, 5 panel, sliding master-bedroom bathroom door! This is a nice added detail to our room and very functional. 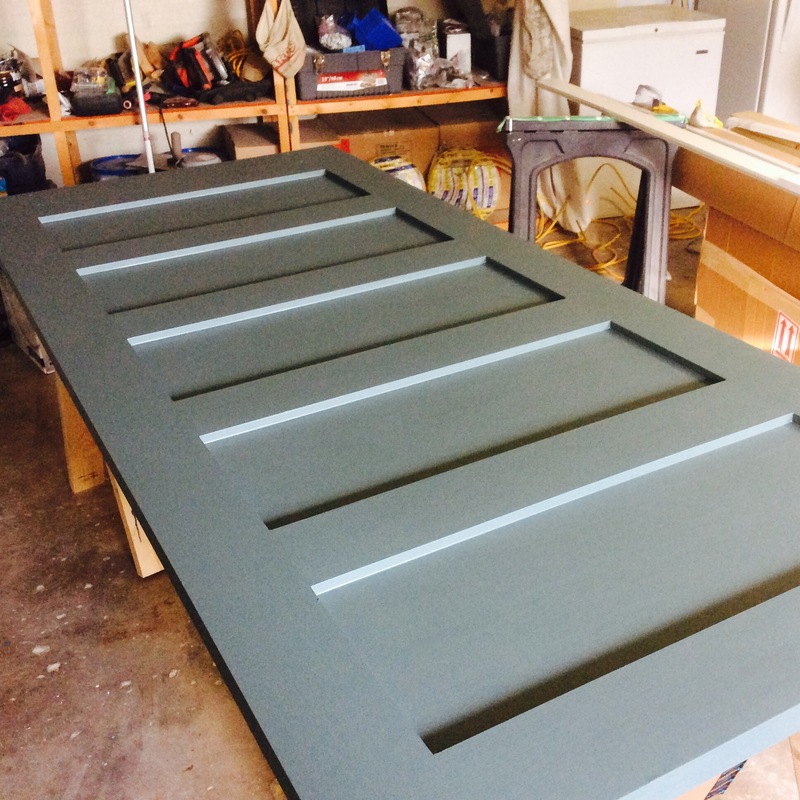 It’s amazing what you can turn a $20, Menards clearance damaged door into! Overall, it was a productive week and life feels as if we are returning home from a summer long camping trip. I have to say, it’s nice to be home. Refrigerator Pickles – Cool Preservation in the HOT Summer Kitchen!